edward and lilly: Nook opens today! 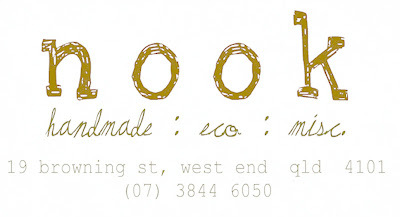 It's about time Brisbane had a shop as cool as Nook, opening today 9:30 am-4 pm! very cool it looks- with some great stuff! oooh can't wait to come down and shop!